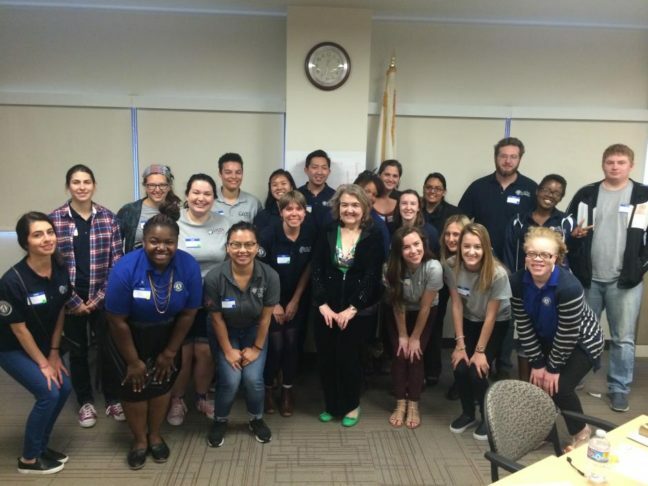 From leading the business arm of a local nonprofit to serving summer meals to kids, 40 AmeriCorps VISTA members will dedicate a year or a summer to serving the Sacramento region as part of the AmeriCorps VISTA program led locally by United Way California Capital Region. United Way is celebrating these 40 individuals this week as part of National AmeriCorps Week, running March 4-11. The AmeriCorps VISTA program in the Sacramento region, as well as the service of this region’s members, is valued at $419,000. Members are serving locally at Communities and Health Professionals Together/UC Davis Pediatrics, Health Education Council, Lutheran Social Services, Opening Doors, PRO Youth and Families, Sacramento Loaves and Fishes, Sacramento Regional Coalition to End Homelessness, Sacramento Self Help Housing, United Way California Capital Region, Wellspring Women’s Center, WIND Youth Services, Women’s Empowerment and Woodland United Way. “With this program rumored to be on the Trump administration’s chopping block, it’s more important than ever to make sure people know how incredibly valuable AmeriCorps VISTA members are to our community and the work of nonprofits in our region. Their service is vital to our community’s health,” Bray said. VISTA was founded in 1965 as a national service program to fight poverty in America. In 1993, VISTA was incorporated into the AmeriCorps network of programs under the umbrella of the Corporation for National and Community Service. AmeriCorps VISTA taps the skills, talents and passion of more than 8,000 Americans annually to support community efforts to overcome poverty. Members make a year-long, full-time commitment to serve on a specific project at a nonprofit or public agency. They focus their efforts to build the organizational, administrative and financial capacity of organizations that fight illiteracy, improve health services, foster economic development and otherwise assist low-income communities. For more information: www.nationalservice.gov/programs/americorps/americorps-vista. United Way California Capital Region is leading the AmeriCorps VISTA program in the Sacramento region as part of its efforts to increase capacity at local nonprofits and schools for its Square One Project, United Way’s 20-year promise to significantly increase the number of local students who graduate from high school ready for success in college and beyond. United Way believes ending poverty starts in school and is working to ensure kids meet important milestones for success in college or career. To donate or volunteer, visit www.yourlocalunitedway.org.